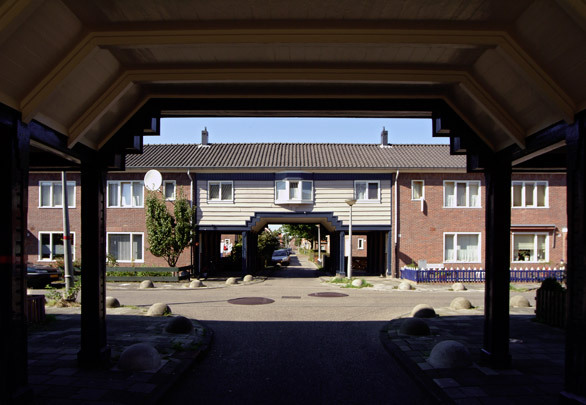 Oostzaan is just one garden village built on the initiative of A. Keppler, director of the Amsterdam Municipal Housing Agency from 1915 to 1937. Its 1300 dwellings stand along streets and squares arranged into geometrical patterns as in many garden villages. The timber portals spanned between the brick housing blocks are a distinctive feature of this district. It has ample facilities including schools, shops, a library and public baths.